Die überdachte Fläche beträgt 2,7m x4,9m. Nothing defines an outdoor room like a pergola. The ALEKO Pergola is ideal to encase a hot tub or patio set. Whether it's to shade your dining table from the sun or avoid a sudden rain shower, the ALEKO Grape Trellis Gazebo Retractable Canopy will be a sturdy and attractive addition to your garden, deck, patio, or yard. Er war wegen der großen Resonanz lange Zeit ausverkauft, jetzt ab Nov. wieder in geringen Stückzahlen verfügbar. Comprehensive instructions are included for an easy 2 person assembly. Nothing defines an outdoor room like a pergola. The ALEKO Pergola is ideal to encase a hot tub or patio set. Whether it's to shade your dining table from the sun or avoid a sudden rain shower, the ALEKO Grape Trellis Gazebo Retractable Canopy will be a sturdy and attractive addition to your garden, deck, patio, or yard. Stufe a legna. Stufa bruciatutto con struttura in acciaio smaltato. Tronchetto spazzastufa pulisci camino pulizia canna fumaria stufa legna pellet. Stufa Legna Scovolo 200 Mm Pulizia Spazzacamino Pulisci 8.4 Mt. 90x58xH90 cm. Tronchetto spazzastufa pulisci camino pulizia canna fumaria stufa legna pellet. Stufa Legna Scovolo 200 Mm Pulizia Spazzacamino Pulisci 8.4 Mt. Gli introvabili. Gli imperdibili. In promozione. (This does not include the materials or tools needed to build it and we will not be sending you a complete pergola. 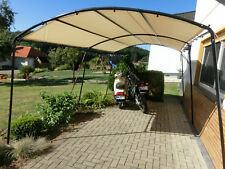 1) This is very attractive and functional shelter that provides more shade while keeping your area dry. Provide shade for your dining table or patio furniture while also avoiding harsh UV rays and sudden rain showers. The ALEKO Grape Trellis Gazebo Retractable Canopy Pergola is a sturdy and attractive addition to your outdoor space. Firma Suntech24 bietet Ihnen eine Seitenzugmarkise an. Kassette zum Schutz des stoffes vor Witterung. Elektroantrieb Nein. Schutzdach als Option: nein. Sie konnen also nach erwerb Masse oder Material andern, wir nutzen Acryl Stoffe. 8x Rankhilfe Spezialschrauben für Rosen- und Kletterpflanzen. Diese geniale Rankhilfe gibt Ihren Rosen und Kletterpflanzen den nötigen Halt. Spezialschraube, Bügel und Muttern verzinkt. Möchten Sie die Spezialschraube im Mauerwerk befestigen, brauchen Sie einen 10 mm Dübel. In total there are 21 pages in 11x17 format. The structure shown was built with these plans. The 3D images show the structure you will be getting a design for. The size of 10' is column center to column center on one of the faces.